There aren’t many pop musicians that could forgo a chorus, change the chord progression mid-song, maintain a lyrical sense of melancholy and emerge in a shimmering, synth-backed guitar solo that makes you want to dance in your bedroom. 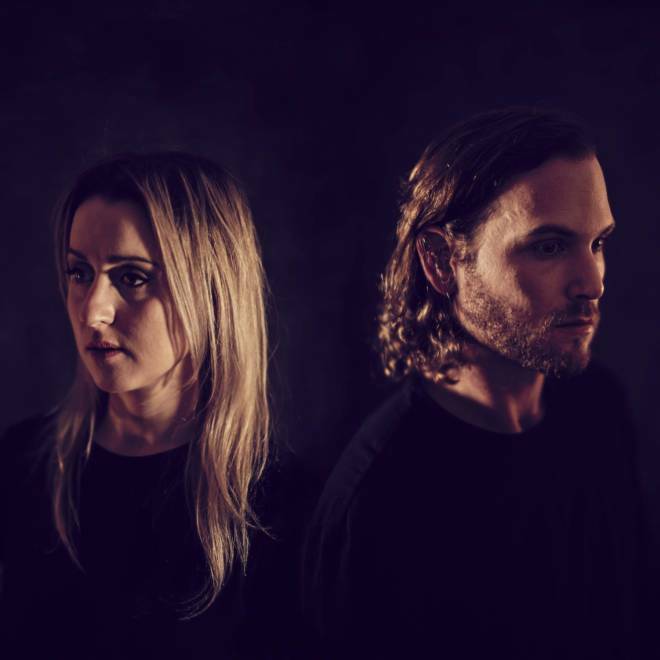 Most pop musicians aren’t Belle Mare, though, and “Liars” is the clearest sense yet of the band’s expansive soundscape. Their newest single lies at the unusual intersection of summer anthem and pensive reflection that is so rarely explored by bands not named Passion Pit. 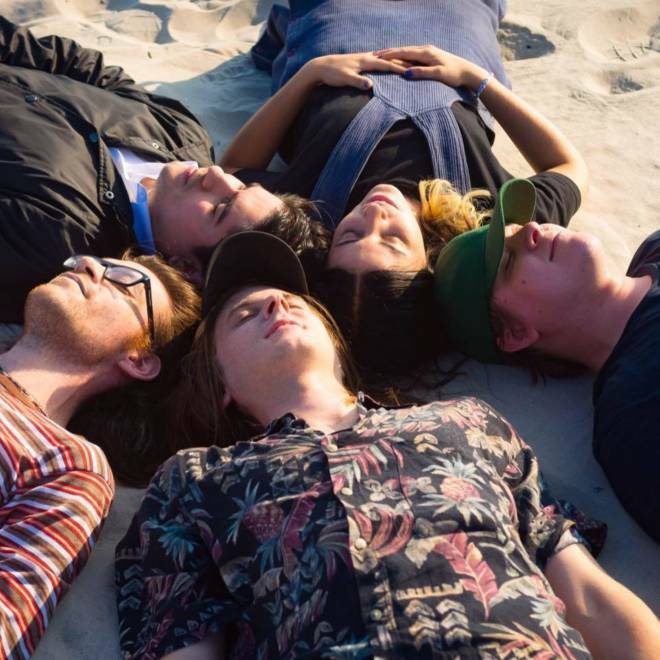 You might be hooked by the glimmering breadth of guitars, but you’ll stay for lead-singer Amelia Bushell’s candid detachment. Keep an eye out for the duo’s forthcoming release (date TBA). 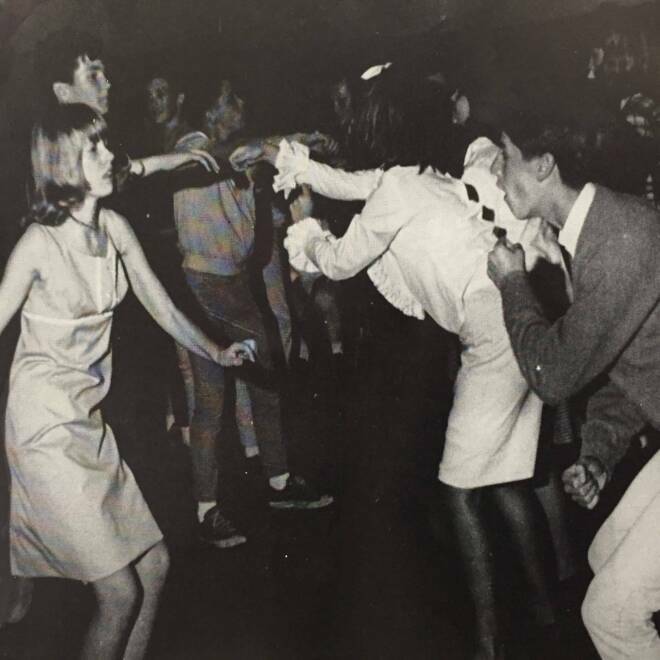 Some music was made for dancing. Some music was made for reminiscing. Some music was made for both. Nation of Language’s music harkens back to a time none of its members, nor I, were alive for. A time when synthesizers and bands like New Order took the world by storm. With “On Division St,” lead singer Ian Devaney also reflects on his childhood and what inspired him to form this new synthpop project. “A song so sweet / back from when I was born,” he cries as he thinks about the tunes that shaped his musical tastes. The song has an enchanting way of floating within its own double-time beat. Just like a memory, drifting in and out the unstoppable march of time. 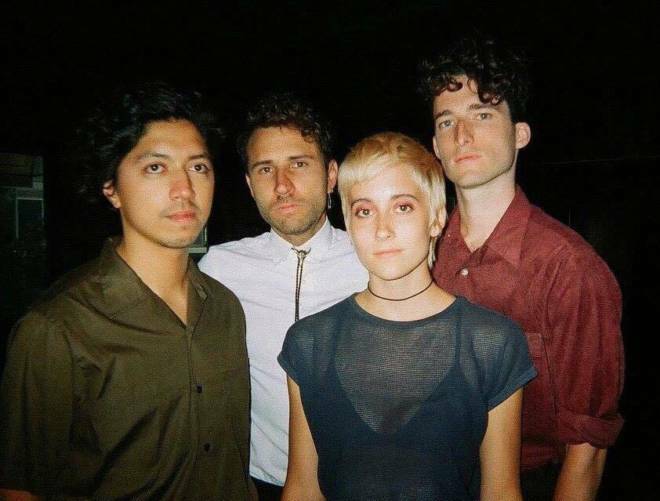 “Elsewhere,” by Brooklyn-based Gingerlys entrances us in the best way. There’s a certain effervescence to the interplay between the atmospheric vocals and the driving, spacy rhythm section hits. Therein lies the childlike optimism also found in longing for something just slightly out of reach. The lyric has a careful whimsy that reminds us of our last tragic, unrequited crush: fun, but slightly forlorn. This song, the single (and track four) off of the Gingerlys’ self-titled album was released in November under Babe City and Topshelf Records. 2017 was fantastic year for Slow Caves. The Colorado surf/indie rock quartet, consisting of two pairs of brothers, toured all over the country playing nearly 100 shows. And with the release of their new song, “Poser,” they’re out to do it again. They’ve started the new year off with an honest yet cheery declaration: “I’m a poser, I’m so free!” Getting a little attention in the world of independent music comes with an insurmountable list of requirements (anyone else having nostalgia fatigue, too?). Slow Caves hangs on to the older influences and images they love (“Acid wash is the classic posh”) and if that means they’re not cool, then consider us posers, as well. Make sure to check out the band on tour starting at the end of January. Sjowgren, the band whose Scandinavian-esque name and music belies its Bay Area origins, has an enigmatic and insular online presence. Since releasing Demos in 2015, the band’s members remain anonymous. Likely, the sleight of hand means to plop your ears and attention fully into the music. So let’s get to it: rhythmically throbbing and vocally delicate, “Stubborn Forces” struts evolving production choices, but reinforces the simple fact that this band exudes incredibly tender pop refrains. 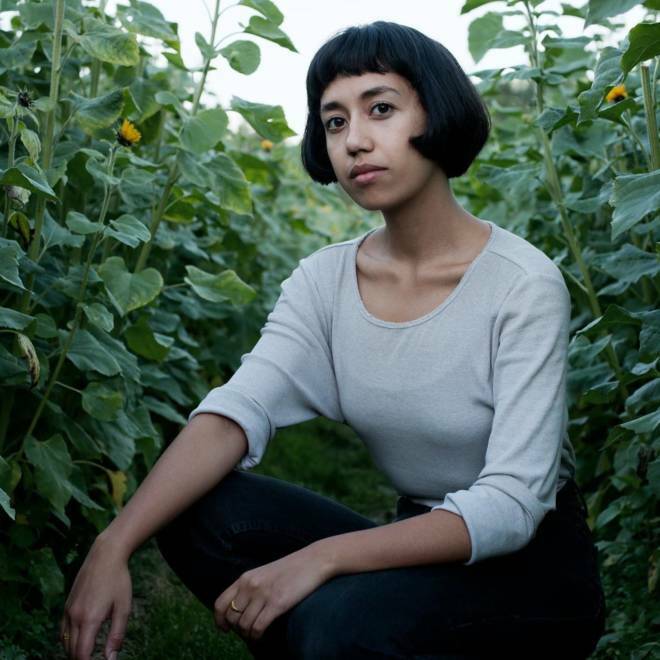 Portland folk singer-songwriter Haley Heynderickx has a keen attention to detail and the ability to absolutely captivate with her melodies. “Untitled God Song” is comedic and charming as she grapples with her relationship to God, who is in this case, presented as a woman with a knockoff Coach bag and “big hips and big lips." Though the song is loaded with a ton of questions and uncertainty, it is still so strangely comforting, prompting us to see the infinite in things that once seemed ordinary. Heynderickx sings, “my web is still spinning / you can’t see it yet," as she weaves her own web around us, making everything feel slightly more settled in its place. Look out for her album I Need To Start A Garden out on 3/2. Swedish indie pop band, Holy Now, ushered in the year with new single “Feel It All." With a sense of nostalgic euphoria, this song is a joyful plea for ease and mindfulness. Keep an eye out for their new album coming out later this year! hunter & wolfe’s “All The Vultures” is the indie rock anthem you need to hear. 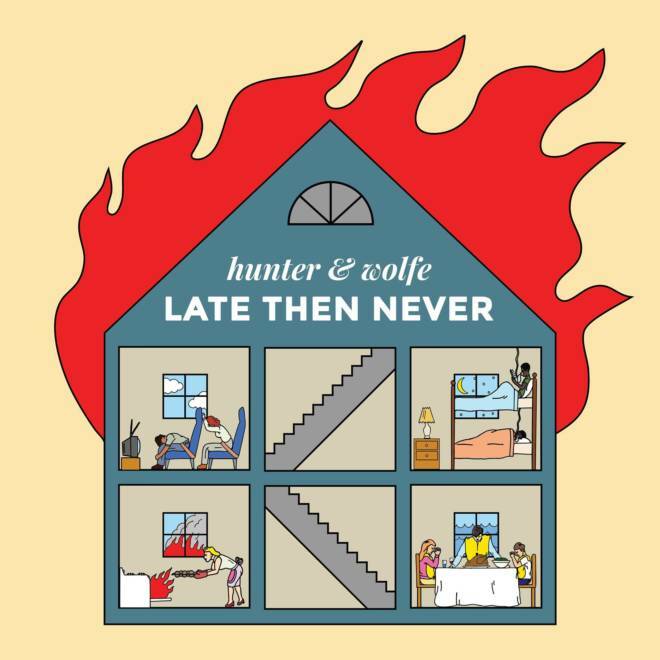 The opening track off of the Brooklyn-based duo’s newly released record, Late Then Never, “All The Vultures” places you somewhere between some seriously emotional chord progressions and Maffei’s silky smooth vocals — a pretty good pocket of space to exist in, if you ask me. It confronts the discontentment we have with ourselves from time to time, but also validates that no one’s perfect, all within a tightly wrapped three minute package. Singer-songwriter Helena Deland from Montreal creates sweet, sweet melodies. “There Are a Thousand” is just one of them, her latest since her 2016 EP, Drawing Room. Deland’s voice is light and airy, reminiscent of hazy day dreams. She brings this easygoing attitude to “There Are a Thousand,” giving serenity to any overcast day. 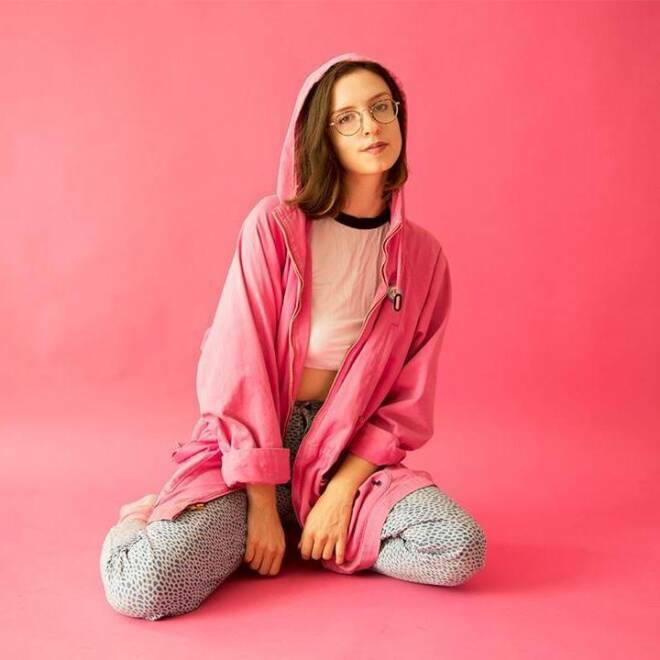 Stef Chura’s debut album Messes was arguably the greatest hidden gem of 2017, and we are so excited for it to resurface this February via Saddle Creek. "Speeding Ticket" shows off Chura's 90s-alternative influences which are not only heard in this song but all over her debut album. There’s no doubt that you should have your eye on this Michigan native indie rocker in the coming months. 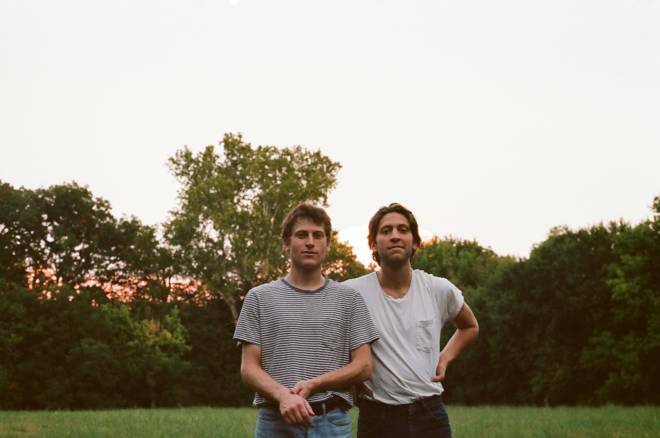 The Austin duo Hovvdy’s new single, “Cranberry,” is an exercise in emotion through minimalism. Doubled vocals sing over hushed guitars, as a bright synth steeps the song in memory. 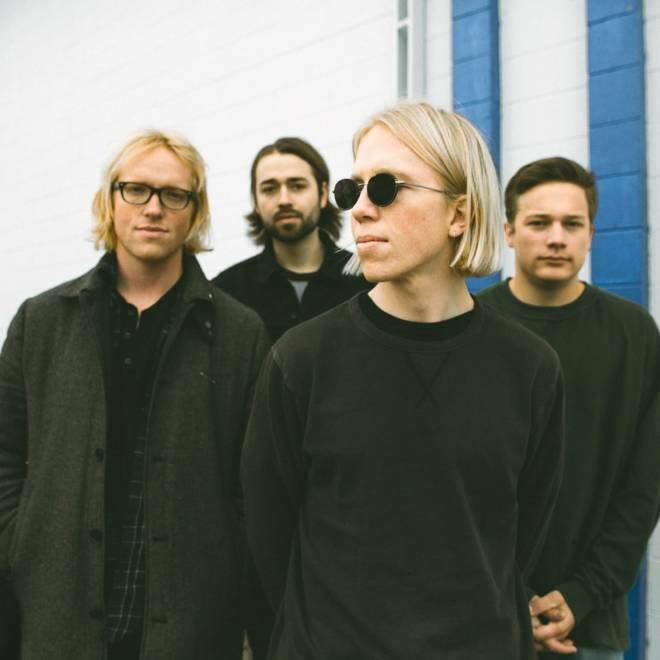 According to Charlie Martin of Hovvdy, “Cranberry” is about becoming a “better listener and, more generally, being willing to make changes in yourself to be a better person, friend, partner.” It’s a rare song that is at once deceptively simple and disarming.